Witches relays a laid back almost beachy mood, accented with punkish edginess, reminiscent of the Breeders, and Teenage Fanclub. New York native, Cara Beth Satalino leads with her striking vocals and upbeat guitar riffs. The trio is completed by fellow New Yorker, Michael Clancy on drums, and Athen’s Jared Gandy on bass. 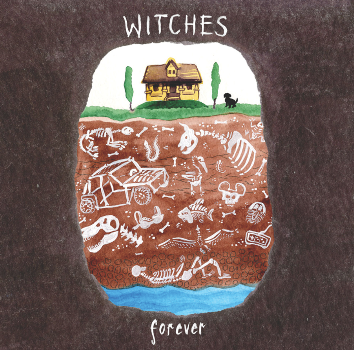 After wrapping up a month-long tour through Germany, Witches releases their debut, Forever June 21 on Bakery Outlet Records.